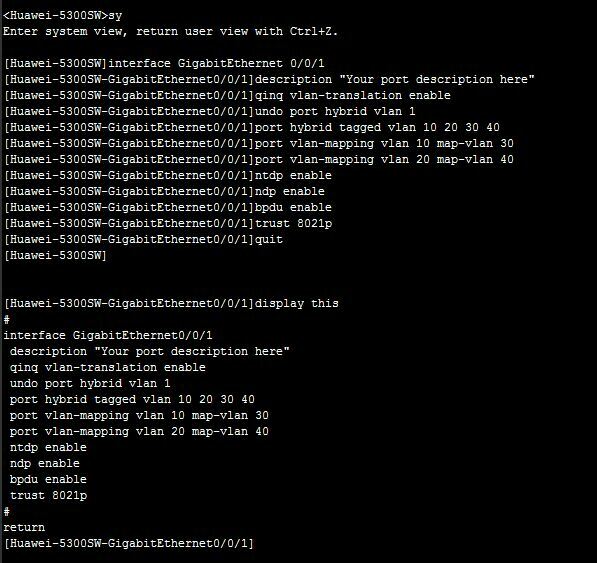 Today I will show you how to configure Vlan mapping Huawei Switch / Vlan converting from one Vlan to another vlan. Let’s go…………. Step-1: At first login your switch & create your desired vlan in Vlan databae which you use. Step-2: Then go to interface mode & follow bellow example. Here 10 & 20 is vlan which you want to convert. And 30 & 40 is converted Vlan. So 10 Vlan is mapping/converted to 30.